Capture incredible memories and showcase your best selfies with Alcatel A3, thanks to a 5MP camera at the front and 13MP at the rear. These cameras are equally suited to day or night use, with a powerful front and back LED flash allowing you to snap perfect photos with flawless results. Bring your selfies to life with the innovative new Face Show feature, which creates instant life-like animations ready for sharing online. 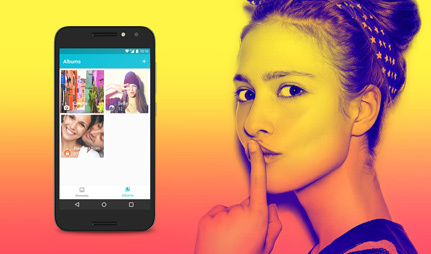 When it comes to storing all those snaps, the Smart Selfie Album function is at hand to assist in keeping all of your photo albums organised and looking sharp. From the metallic frame to the textured covers, the A3’s design boasts a satisfyingly premium feel. 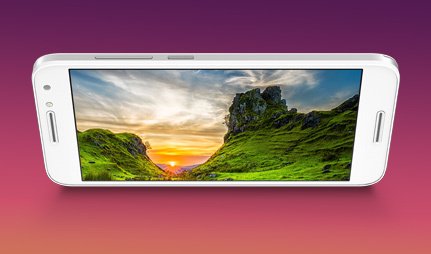 The phone offers an incredibly slim design tailored to offer maximum comfort and style, but it doesn’t end with looks, as the A3 arrives with an Octa-Core 1.25Ghz processor and 16GB of storage to keep your systems running smooth. 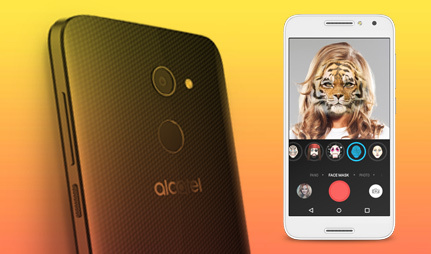 Intelligent design meets impressive sound with the Alcatel A3. It flaunts a powerful front facing speaker, making for an immersive audio experience which brings your music, videos and games to life. One touch is all it takes to unlock your phone and access your favourite apps. Set up to 5 fingerprints, allowing you to open 5 different apps directly from the lock screen. You can even set one to take an automatic instant selfie. The A3 comes equipped with some pretty handy security features. For example, you can keep certain apps and photos from prying eyes by setting your finger to unlock your phone in private mode.